Greta Gleissner, a longtime professional dancer, dreamed her whole life of becoming a Rockette. Then she became one—and she fell into the grips of a powerful eating disorder that began poison her life from the inside out. 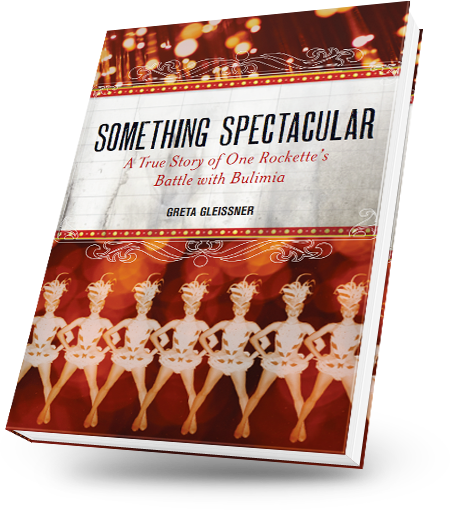 Something Spectacular is Gleissner’s raw, personal chronicle of the devastating effects bulimia exacts upon her life during her time as a Rockette. As her disorder takes over, she begins to lead a dual life: happy-go-lucky on the outside; tortured by obsessive, self-destructive voices on the inside. Immersed in an environment in which even talent is secondary to appearance, Gleissner hides her disorder by any means necessary—lying, cheating, and stealing with no regard for the consequences of her actions—until she hits rock bottom and is forced to face the truths behind her disease. Her intensive odyssey of self-discovery ultimately gives her the strength to reshape her self-image, embrace her sexuality, and break free of the malignant hold bulimia has on her life. 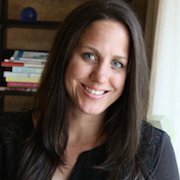 The first book to give voice to the pervasive but often unaddressed problem of eating disorders in the dance industry, Something Spectacular is a gripping exposé of the insidious nature of eating-related diseases—and a profound account of one woman’s journey toward self-acceptance and recovery. Do you want Greta’s book, Something Spectacular? You can order yours today buy clicking on the button.